Ever since people started moving things from one place to another, they've looked for faster and more efficient solutions. Whether it was goods or people or structures, the need to get from point A to Point B and beyond was the driving force. Now we can with our patented Hover Engines™ enabled by Magnetic Field Architecture (MFA™). Arx Pax MFA™ innovations will help improve efficiencies in the areas of industrial automation, material handling and more. 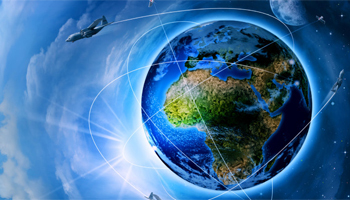 With its unique ability to isolate structures from unwanted movement, Arx Pax MFA™ offers world-changing benefits. Delivering some of the most unique advantages in the transportation field, Arx Pax MFA™ promises new levels of energy efficiency. With Arx Pax MFA™ innovations, the arena of learning will be open to new ideas and approaches in all areas of life now and into the future. MFA is a new tool that can be used in the markets above and many more. MFA enables lift, propulsion, control— and it is a much more cost effective, and simpler solution than traditional Maglev systems. It’s imaginative and inventive. And the way it uses magnetic fields is transformative. MFA is simply the design of more useful magnetic fields. By combining relatively weak magnetic fields in the correct way, the magnetic flux can be organized to reinforce and align itself to do more work. Depending on the application, MFA can begin either with electromagnets or permanent magnets. When their respective fields are properly combined, new field patterns can be created for specific uses. The MFA hover engine generates a primary magnetic field, which induces electrical currents in the conductive surface. These eddy currents then create a secondary magnetic field which repels the primary field. In other words, the hover engines create opposing electromagnets in the surface material which provide lift. Objects powered by MFA technology are capable of omnidirectional motion, propulsion, braking, and rotation without touching the surface. MFA allows for extremely complex movements without use of articulation or robotic motion. Systems enabled with MFA are able to rotate 360 degrees with no turning radius. Merely having a levitated object allows external ("passive") control of motion with negligible friction. 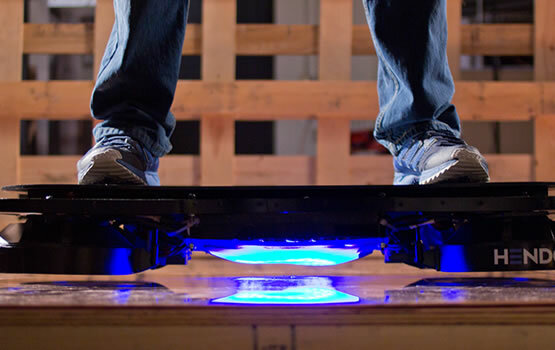 Levitation allows vibration isolation between the levitated object and its conductive base. MFA overcomes Earnshaw’s Theorem to allow a stable levitation paradigm. 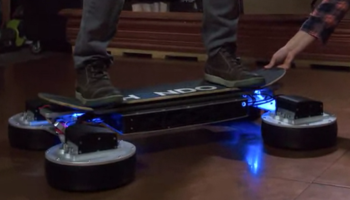 Systems, such as inductive charging systems, can be simply deployed with limited re-design and expense. Efficiency gains could be used to build inductive charging systems with larger air gaps and less stringent positional accuracy. Technology would allow for concepts such as a magnetic "clutch." 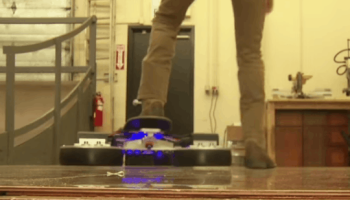 End effectors that pick up objects without touching them. Able to move objects through non-conductive walls. 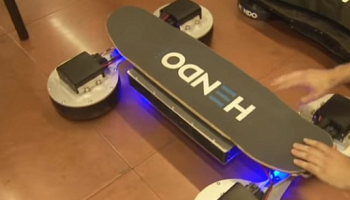 It was the first time a member of the press was allowed to try the new Hendo Hoverboard 2.0, and damn it felt good. 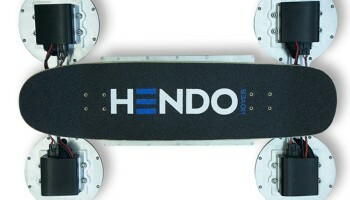 The Hendo 2.0 has improved battery life, better steering capabilities and the firm went back to its roots with a skateboard inspired design – just like Marty McFly’s in Back to the Future. Hendo 2.0 does look like a humble step in the right direction. 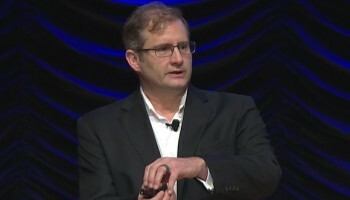 Greg Henderson speaks at Smithsonian magazine’s 2015 Future Is Here Festival.